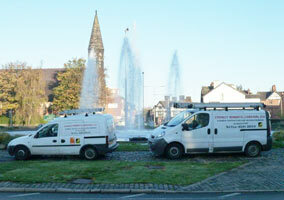 Stanley Roberts (Chester) Limited - Plumbing Contractors and Heating Engineers! Providing great service since 1967! Stanley Roberts (Chester) Limited is an established family business run by Stuart Roberts offering a comprehensive range of plumbing and heating services to a wide range of clients in both the public and private sectors. Stuart leads a qualified and experienced team who can provide everything from design and installation to service and repair and final gas certification. Based on the outskirts of Chester we are easily placed to serve the North West including: Chester, Cheshire, Merseyside and North Wales. We not only provide plumbing and heating services within the commercial, industrial and domestic sectors but we also cover schools, nursing homes, churches, hotels and public buildings to name but a few. Whatever your size, be it an individual home owner or large business we always aim to offer a first class service. The Department for Education and Skills (DfES) insists that anyone seeking work in a school be thoroughly vetted beforehand - all our employees are CRB checked. 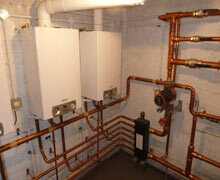 Gas, oil or LPG Boiler installation, servicing and repairs. Underfloor heating installation and maintenance. Cold water storage tank replacements. 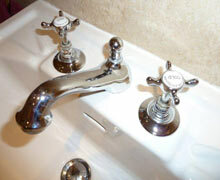 Cylinder and water heater replacements. Control of legionella and remedial works. Annual servicing of gas appliances. © STANLEY ROBERTS (CHESTER) LTD. All right reserved.